Astrobiology, and the search for life beyond the Earth, is deeply interdisciplinary and combines elements of biology with planetary science and physics and astronomy. In this new book, the marital partnership of Karel and Iris Schrijver combine their backgrounds as a physician and an astrophysicist (a fusion they jokingly refer to as an ‘astrophysician’) to explore all the ways that humanity, and indeed all life on Earth, is inextricably linked to the fabric of the planet we live on, as well as the surrounding cosmos as a whole. Through its chapters, ‘Living with the Stars’ covers many topics of central importance to astrobiology. Organic chemistry and the main components of cells: DNA and RNA for storing genetic information, enzymes and proteins, and lipids for membranes. Stellar nucleosynthesis and the forging of heavier elements from primordial hydrogen, and the cycling of crucial substances and elements (such as water, carbon and nitrogen) on Earth through the different reservoirs of land, ocean and atmosphere. How the sun generates the energy it shines with, and how photosynthetic life converts photons into food. Plate tectonics, and how the terrestrial climate has been stabilised over billions of years. How ancient life, and in particular cyanobacteria, terraformed our own planet to create the kind of world we are familiar with today, that is able to support complex plant and animal life. The pair have a very readable writing style, and the book offers a good mixture of the fundamental science, and the historical stories of the scientists involved. Much of what the Schrijvers cover may be standard fayre to someone already with a background in astrobiology, but it would serve as a great introduction to the area for a new student or member of the general public. 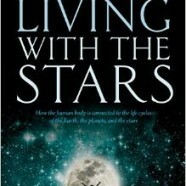 ‘Living with the Stars’ is published by Oxford University Press.